I recently bought a Mini Fabrikator (TinyBoy) on the advice of Ex-parrot. 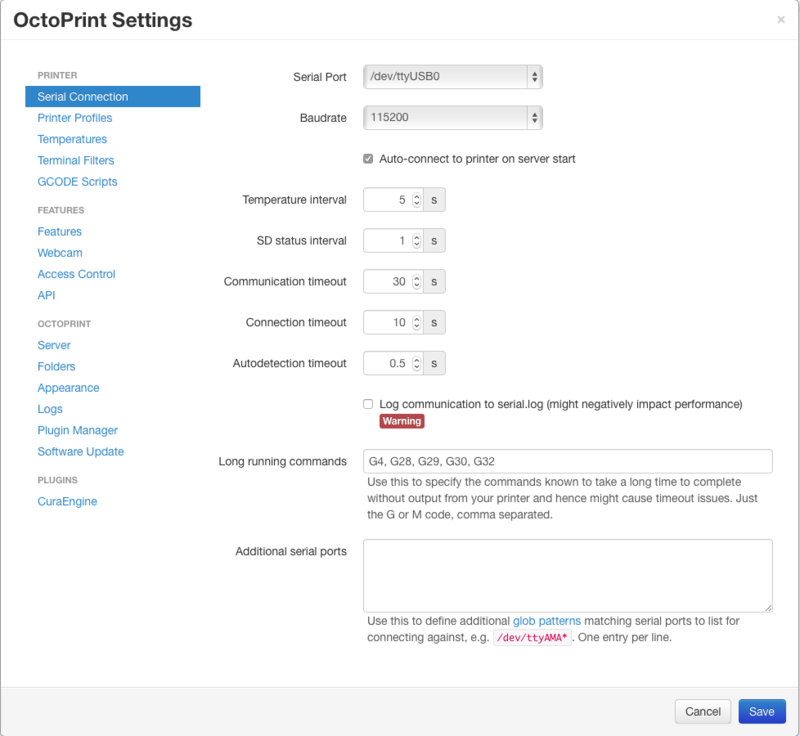 The instructions describe how to set the printer up with Repetier-Host. Ex-parrot uses Octoprint. 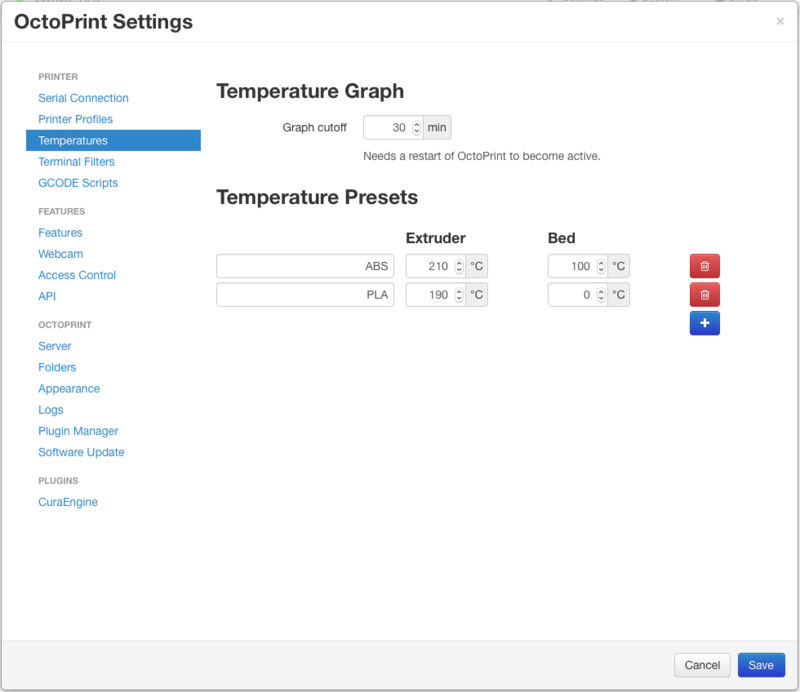 Print time can take hours, so I decided to use Octoprint as well, installed on a Raspberry Pi, so that my MacBook won't be tied down while printing. 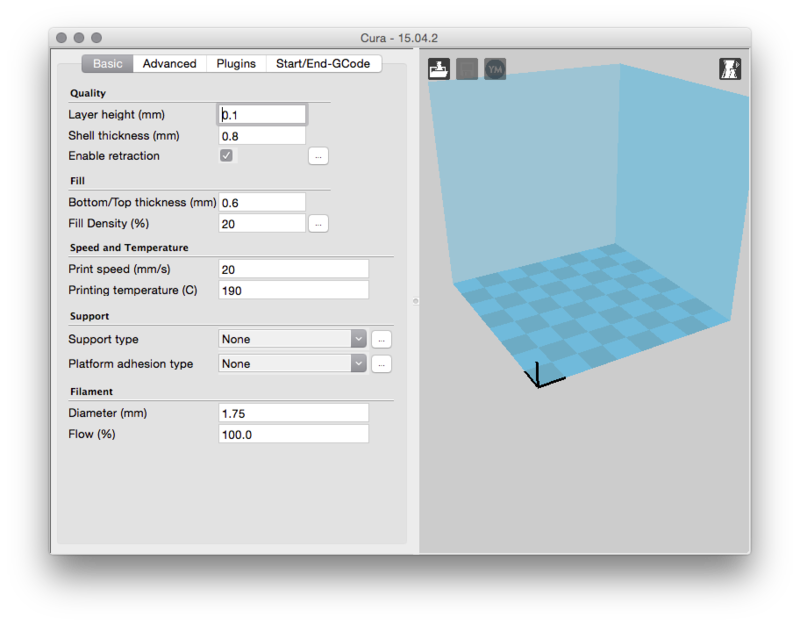 I'm using the latest version of Octoprint (1.2.5). 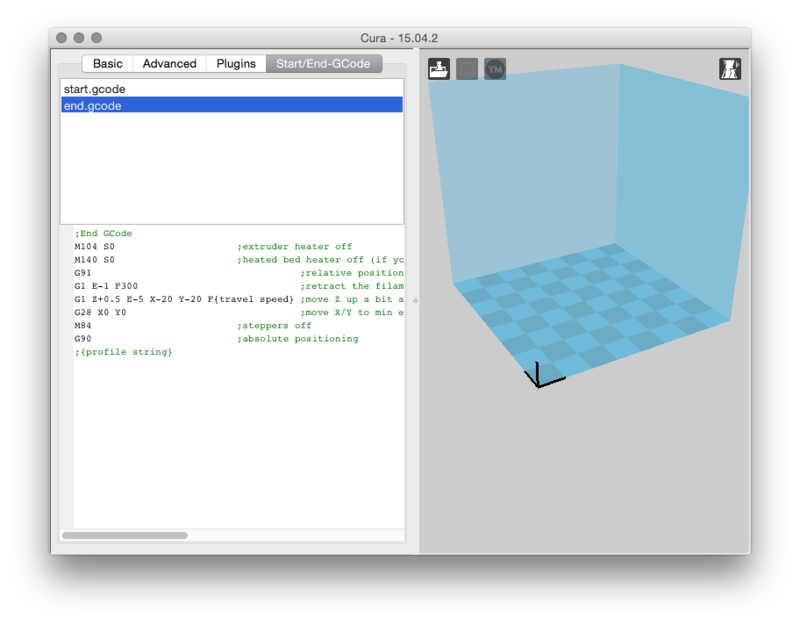 I tried installing the latest version of Cura (15.06.03), but the option for non-Ultimaker printers seems to have been removed, so downgraded to 15.04.2, which is working well. 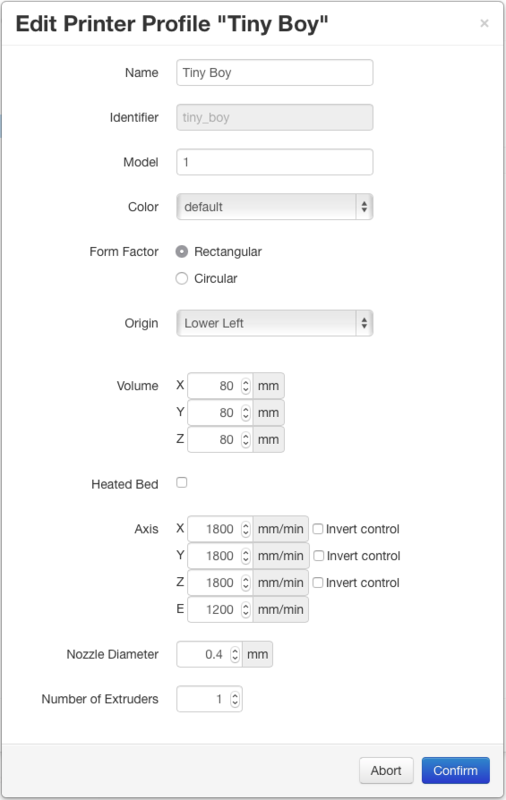 Below are screenshots of the settings which Ex-parrot recommended to me. I've done about a half dozen prints so far and haven't felt the need to make any changes. Comments with suggested tweaks are welcome. Permalink Submitted by blebbens on July 12, 2016 - 4:36pm. Did not succeed in installing cura as stand alone engine. 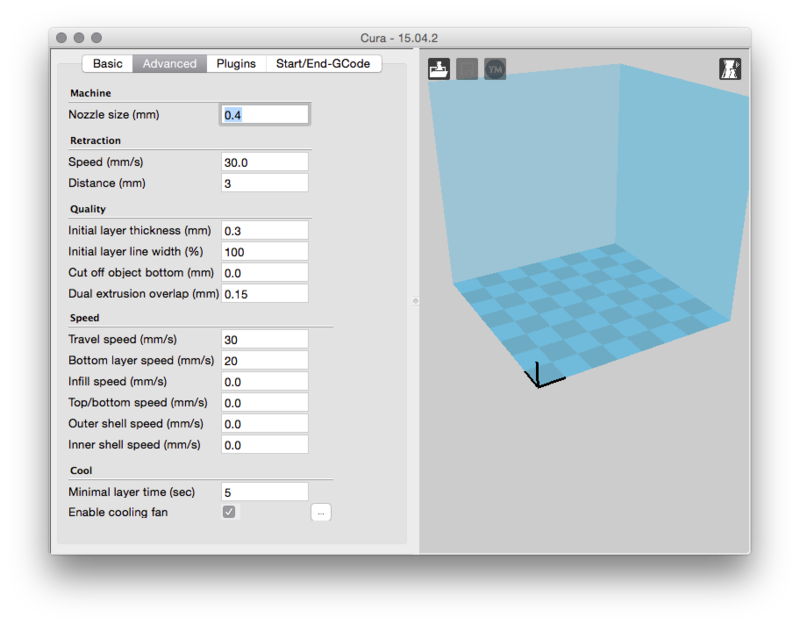 Would like to import cura engine settings to octopi. Could you offer your settings for download, please? Would be very helpful.